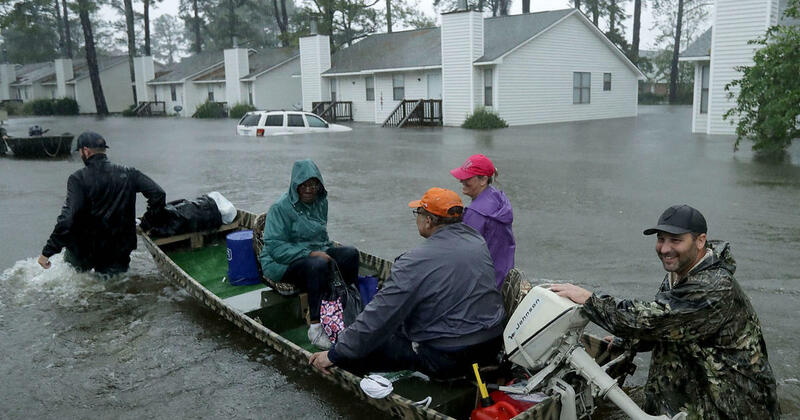 Tropical Storm Florence has left at least 11 people dead as it continues to dump an “epic” amount of rainfall on North Carolina. 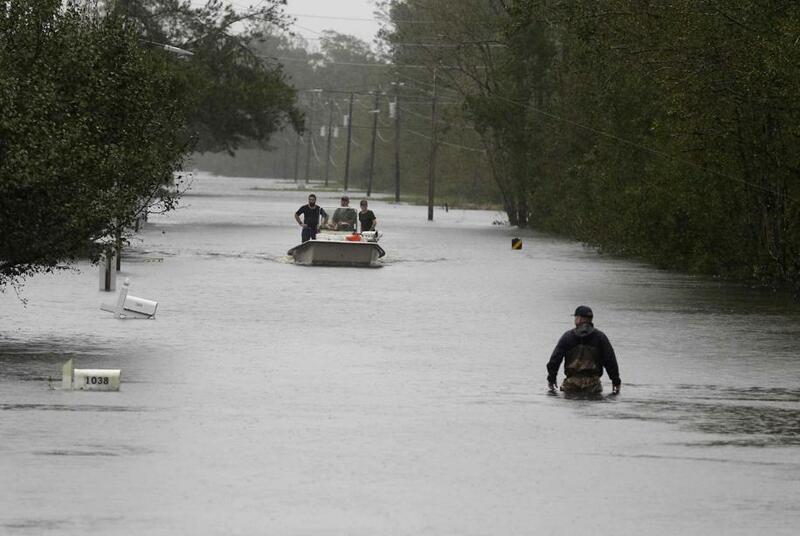 Rivers are rising towards record levels as thousands of people have been ordered to evacuate the US state. 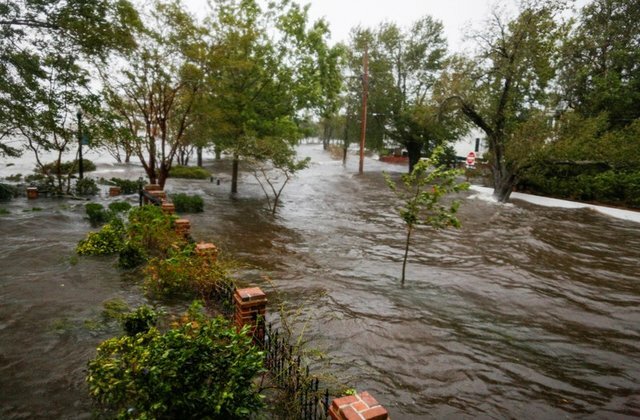 President Donald Trump has issued a disaster declaration amid fears North Carolina will experience its most destructive bout of flooding in history. 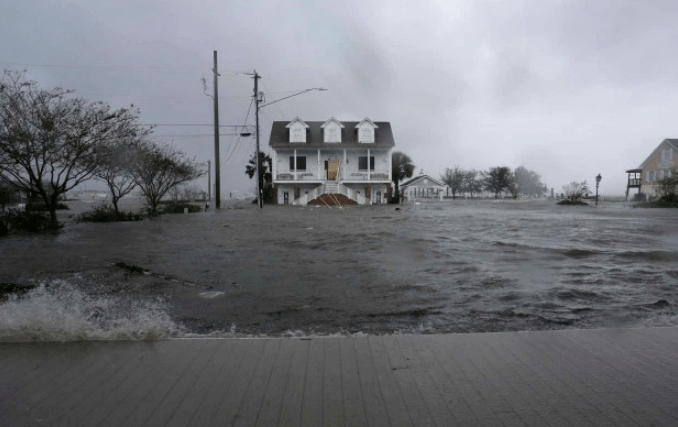 A mother and her baby are among those who have been killed by Florence, which was initially categorised as a hurricane with 120mph winds. 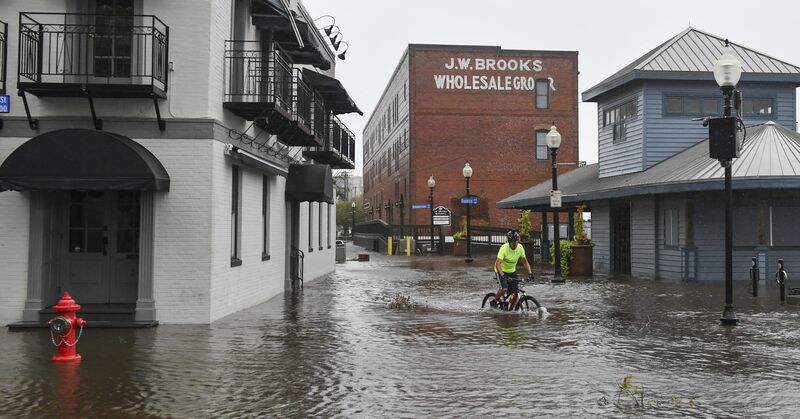 By Saturday morning the winds weakened to 50mph but the storm’s slow speed means that communities in North Carolina are receiving a prolonged battering by torrential rain. 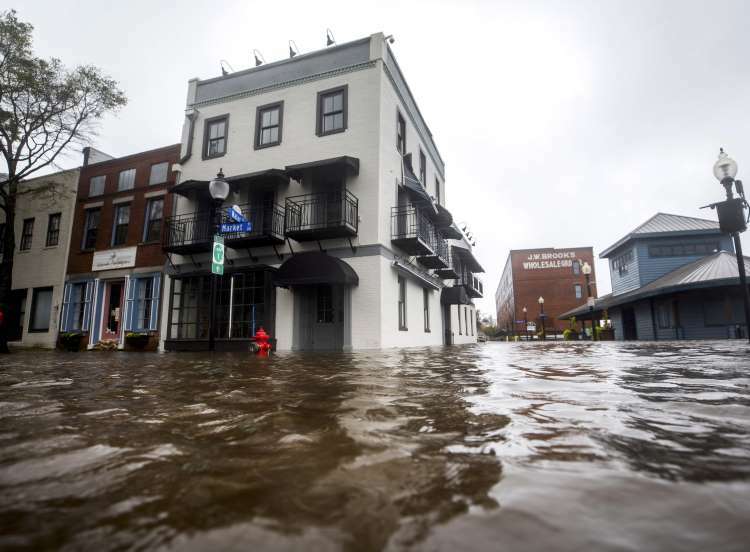 The National Hurricane Center said as much as 40in (102cm) was expected on the southeastern coast of North Carolina and part of northeastern South Carolina. 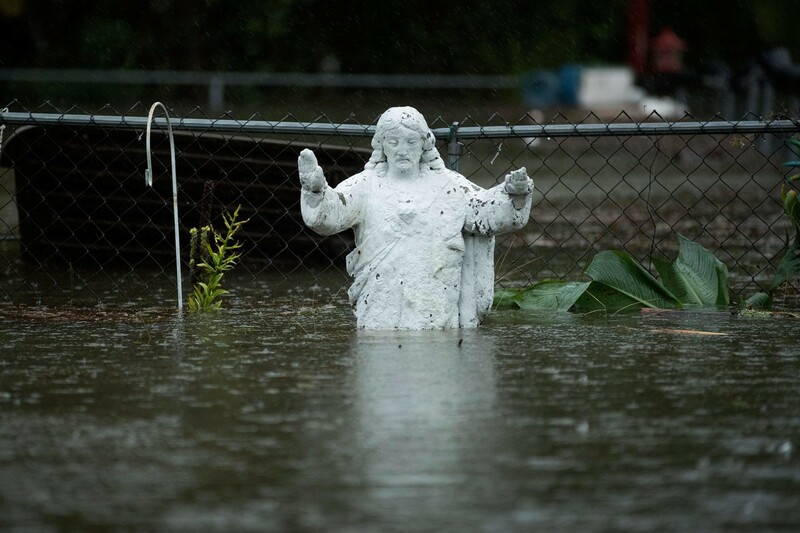 He added: “Know that water is rising fast everywhere, even in places that don’t typically flood. 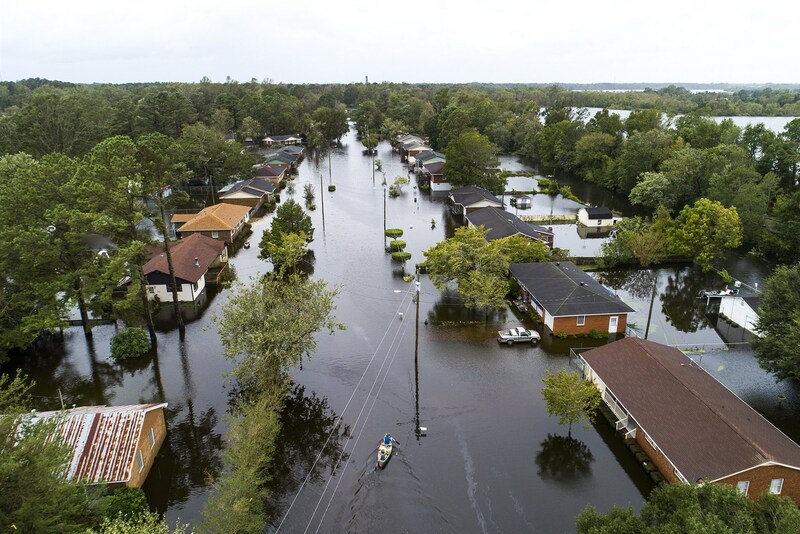 Florence buckled buildings, deluged entire communities and knocked out power to more than 900,000 homes and businesses in its initial coastal onslaught. It was inching west at 2mph and its winds were down to 45mph. 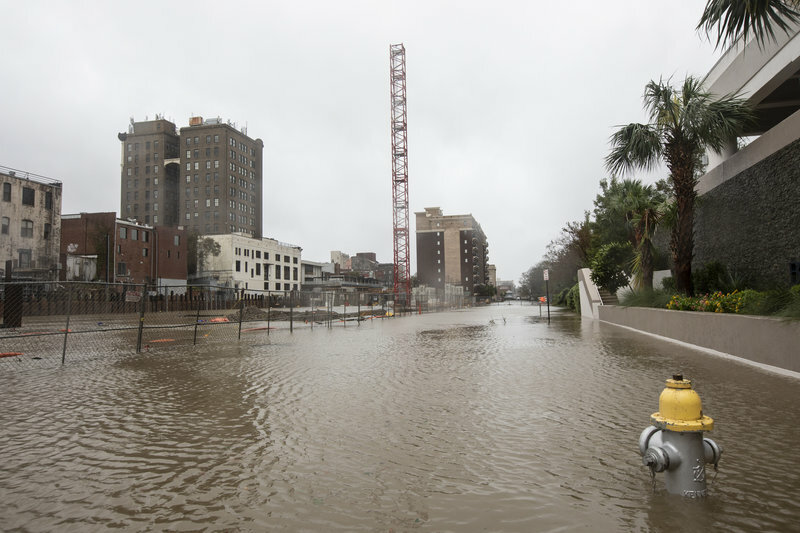 The storm has been shaping up to be a two-part disaster, with the second, delayed stage triggered by rainwater working its way into rivers and streams. 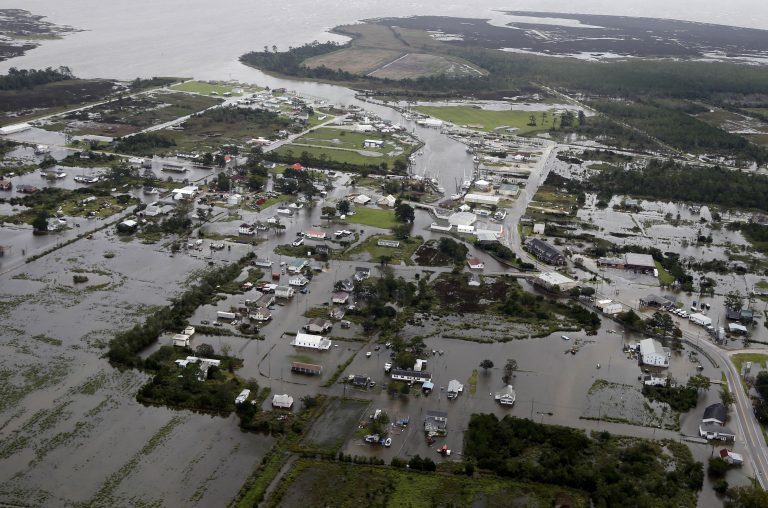 The flash-flooding could devastate communities and endanger dams, roads and bridges. The evacuation zone included part of the city of Fayetteville, population 200,000. 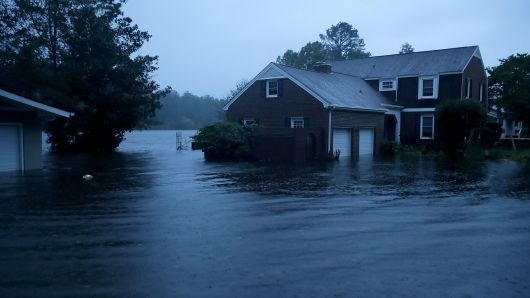 Officials in nearby Harnett County urged residents of about 1,100 homes to clear out because the Lower Little River was rising towards record levels. 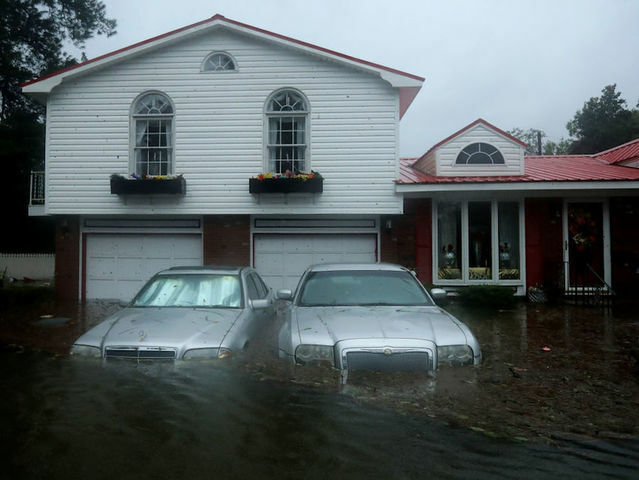 US correspondent Cordelia Lynch, who is in New Bern, said: “This community in the weeks and months to come is up against a great deal of flooding. 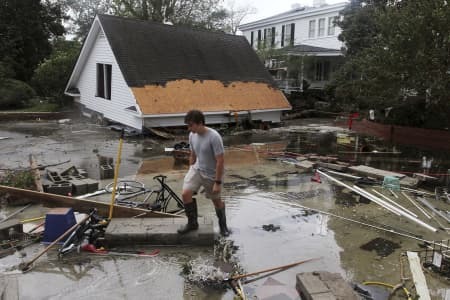 Florence’s death toll could rise as a number of deaths are being investigated to see if they were caused by the storm. 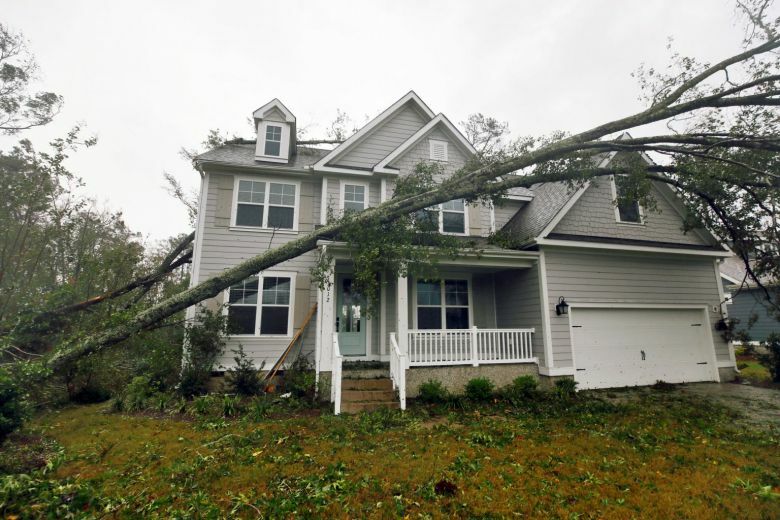 A mother and baby were killed after a large tree fell on their home in Wilmington, while in Pender County a woman died of a heart attack after storm debris prevented paramedics from reaching her. 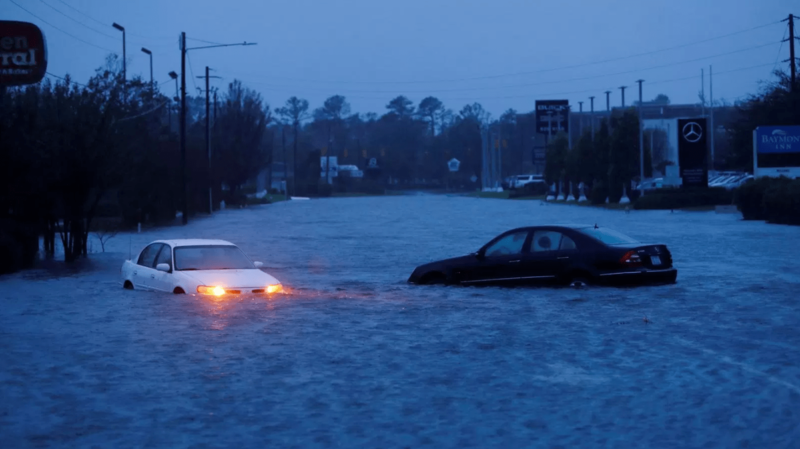 South Carolina recorded its first death from the storm, with officials saying a 61-year-old woman was killed when her car hit a tree that had fallen across a highway. 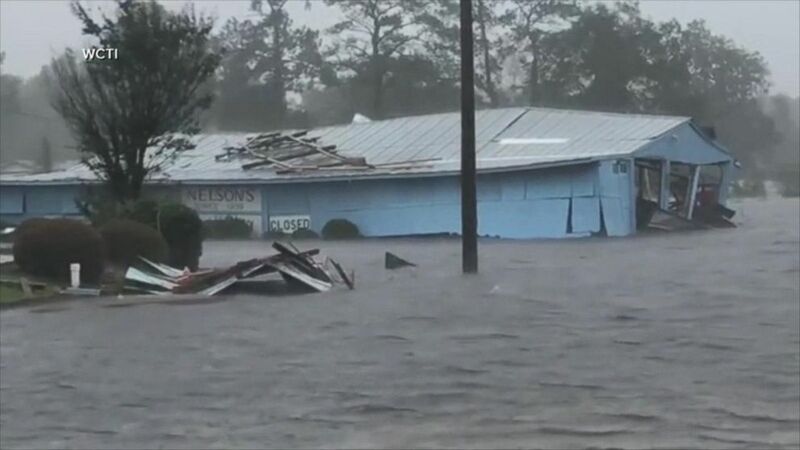 Three died in one inland county, Duplin, because of water on roads and flash floods, the sheriff’s office said. A husband and wife died in a house fire linked to the storm, officials said, and an 81-year-old man died after falling and hitting his head while packing to evacuate. 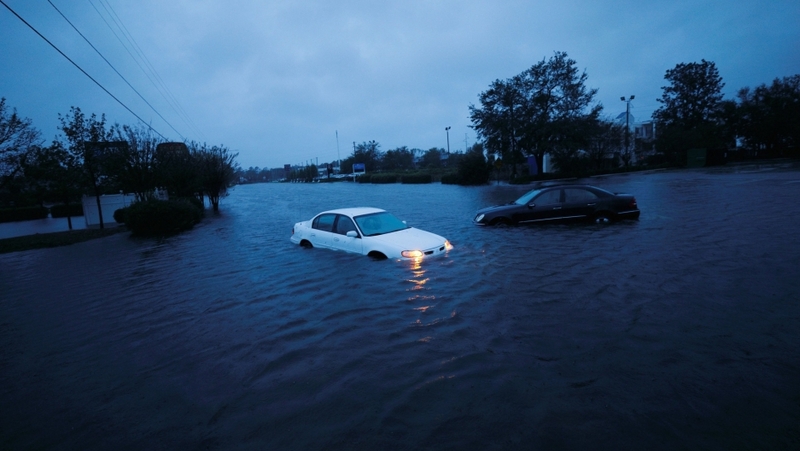 Nearly 814,000 homes in North Carolina and 170,000 in South Carolina are without power. Across the two states there are some 30,000 people staying in emergency shelters.